As you may have heard, Our Katahdin was recently awarded a $5,348,810 grant from the U.S. Department of Commerce’s Economic Development Administration through their Economic Adjustment Assistance Program. This grant will be in the form of a reimbursement for project costs, with Our Katahdin required to match the grant funds with an additional $1,337,202. The project's total budget is $6,686,012. These funds will allow us to develop portions of mill site's greenfield—the areas on the mill site that have not previously been developed. The grant will focus on the area known locally as Shack Hill. This grant is a huge asset for the redevelopment of the mill site, but is restricted to very specific purposes. The scope of work for this project will include upgrading more than 5,900 feet of existing roadways and approximately 1,500 feet of railway; constructing water, sewer and electrical infrastructure connecting to a central location on Shack Hill; re-establishing power to the maintenance garage; and constructing a truck scale near the entrance gate. When Our Katahdin bought the mill site in January 2017, one of the first things that became apparent was the fact that the brownfield portion of the site—the areas of the site with existing development—did not have any large contiguous parcels of land bigger than 10-12 acres. Because of topography, poor soils, or existing structures, we cannot accommodate on the brownfield any tenant who needs more than 10-12 acres. 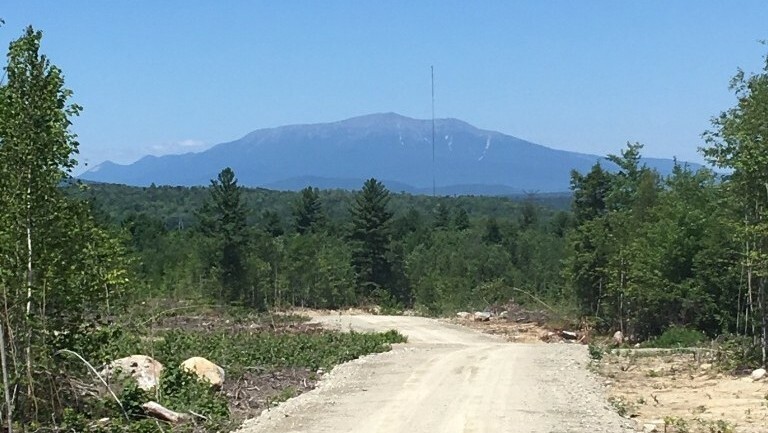 Shack Hill provides hundreds of developable acres with good soils, good topography and great views of Mount Katahdin. Developing infrastructure on Shack Hill will create additional, larger parcels for prospective tenants to consider and allow us to accommodate a greater variety of uses. Over the winter months, we will be preparing and awarding bids for the engineering portion of the work, including permitting and design, in preparation for the construction bids. Under EDA guidelines, we have 18 months to begin construction and 36 months to complete the project. This project, however, is contingent upon resolving the IRS lien. We will update our project timeline when it gets further developed. Our next step will be to re-establish power to the brownfield. We recently applied for a grant from the Maine Rural Development Authority for this purpose. When the steam plant was demolished, most of the infrastructure to distribute the electricity produced there went with it. We have purchased some essential electrical equipment to re-establish the power, but we will need additional funding for the engineering and buildout. Thanks Hampden Electrical, another outstanding supporter of the Katahdin Region, for matching $1000 in donations to Our Katahdin projects. "Your Professional Realtor Creating Results That Will Move You"